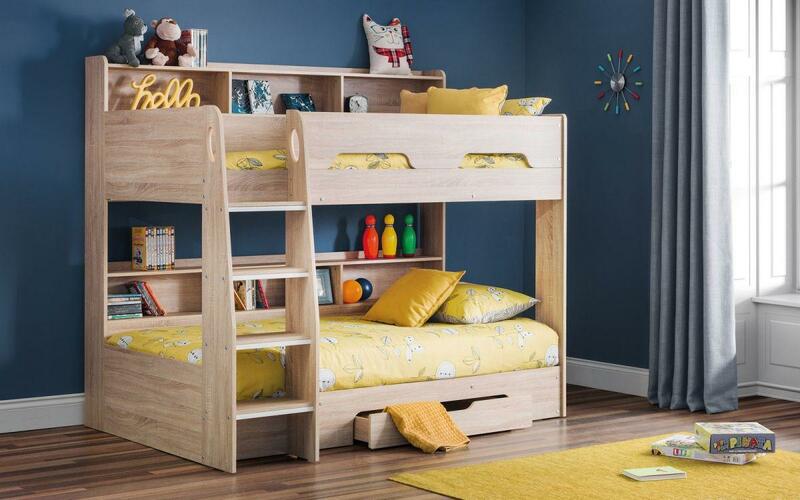 Athena is a innovative bunk bed with a Sonoma Oak finish. Combining style with practicality, Athena has a pull out drawer and shelving, with a raised lip to prevent anything falling down the back. The lower bunk is close to the ground, and the ladder features cut out handles and glow in the dark strips (optional).